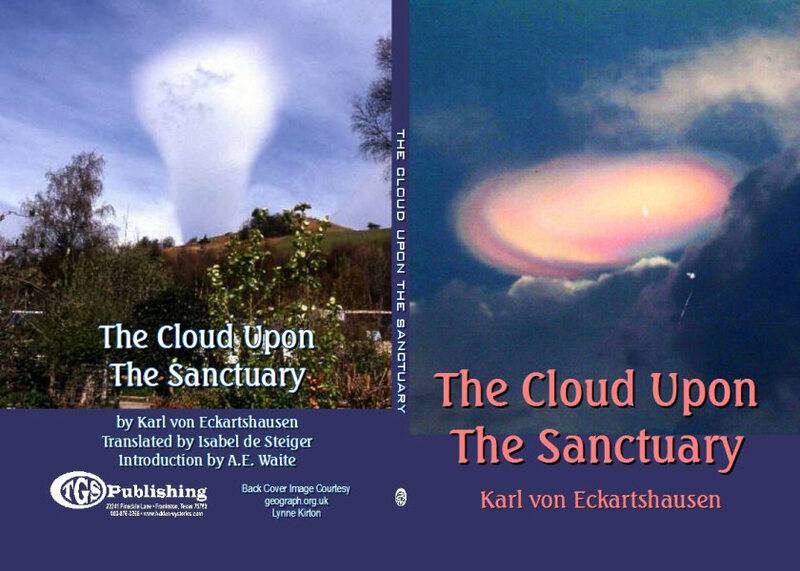 Apart from "The Cloud upon the Sanctuary," Eckartshausen is a name only to the Christian Transcendentalists of England. He wrote much, and at his period and in his place, he exercised some considerable influence; but his other works are practically unknown among us, while in Germany the majority at least seem forgotten, even among the special class to which some of them might be assumed to appeal. 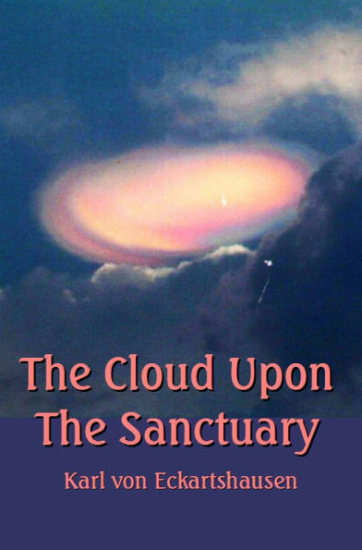 "The Cloud upon the Sanctuary" has, I believe, always remained in the memory of a few, and is destined still to survive, for it carries with it a message of very deep significance to all those who look beneath the body of religious doctrine for the one principle of life which energizes the whole organism. This translation has offered it for the first time to English readers, and it enters here upon the third phase of its existence. It appeared originally in the pages of "The Unknown World," a magazine devoted to the deeper understanding of philosophical and mystical religion, and it was afterwards republished in volume form, of which edition this is a new issue. It has attracted very considerable attention and deserved it; it has even been translated into French, under the auspices of the late Countess of Caithness, for the pages of L'Aurore. These few words of bibliography are not unnecessary because they establish the fact that there has been some little sentiment of interest working within a restricted circle, as one may hope, towards a more general diffusion and knowledge of a document which is at once suggestive from the literary standpoint and profoundly moving from other and higher considerations. It encourages me to think that many persons who know and appreciate it now, or may come under its influence in the future, will learn with pleasure the little that I can tell them of its author, the Councillor Eckartshausen, and of certain other books not of his writing, which, as I think, connect therewith, and the study of which may help us to understand its message. Perhaps the most interesting thing that I can say at the beginning concerning Eckartshausen is that he connects with that group of Theosophists of which Lavater was so important a figure, the Baron Kirchberger an accomplished and interesting recorder, and Louis Claude de Saint-Martin a correspondent in France and a certain source of leading. In his letters to Saint-Martin, Kirchberger says that Eckartshausen, with whom he was in frequent communication, was a man of immense reading and wonderful fertility; he regarded him in other respects as an extraordinary personage, "whatever way providence may have led him." It would appear that at this period, namely, in 1795, Eckartshausen was looking for and obtaining his chief light from the mystical study of numbers, but was also, to use the veiled and cautious language of the correspondence, in enjoyment of more direct favours. Saint-Martin confesses on his own part that he was more interested in Eckartshausen than he could express. Kirchberger must have held him in even higher estimation, and undertook a journey to the Swiss frontier actually for the purpose of receiving from him the personal communication of the Lost Word; but the illness of the proposed communicator frustrated this project. The point is important because it establishes the pretensions of Eckartshausen. As to the Councillor of Berne so to us, he comes speaking with authority; and whatever may be our opinion as to the kind of sacramentalism or economy which was conveyed in a proposal to communicate the incommunicable name, there are some of us who know, at least within certain limits, that the little book which I am here introducing is not one of vain pretension. Saint-Martin acknowledges that part of the numerical system of Eckartshausen was in astonishing agreement with things that he had learned long ago in his own school of initiation-that of Martines de Pasqually. Altogether the French mystic had formed the best opinion possible of his German brother, and his Swiss correspondent further tells us that Eckartshausen, although a courtier, walked in the narrow way of the inner life. In a letter to Kirchberger dated March 19th, 1795, Eckartshausen bears witness to his own personal experience and instructions received from above, his consciousness of a higher presence, the answers which he had received and the visions, with the steps by which he had advanced even to the attainment of what he terms "the Law in its fullness." I have thought it well to give these data derived from private correspondence, the publication of which was never designed or expected at the time, because they constitute a sketch of Eckartshausen taken to some extent unawares, when there could be the least reason to suppose that he was adopting an attitude. Let us now compare the very strong claim which they incorporate with that of "The Cloud upon the Sanctuary" itself, and the little analysis which I shall give here will, I think, be otherwise serviceable to readers as a summary of the chief purport of the work. It is possible by seeking inwardly to approach the essential wisdom, and this wisdom is Jesus Christ who is also the essence of love within us. The truth of this statement can be experimentally proved by any one, the condition of the experience being the awakening within us of a spiritual faculty cognizing spiritual objects as objectively and naturally as the outward senses perceive natural phenomenon.